Vodka Azzurra a Saturday evening? If you do not succeed with your drink, maybe you need some creative inspiration source. Let us try with Italy. What can be that something little that inspires us? What do you prefer to drink a Saturday evening? A glass of juice, a cup of tea, a beer or maybe even some vodka drink? 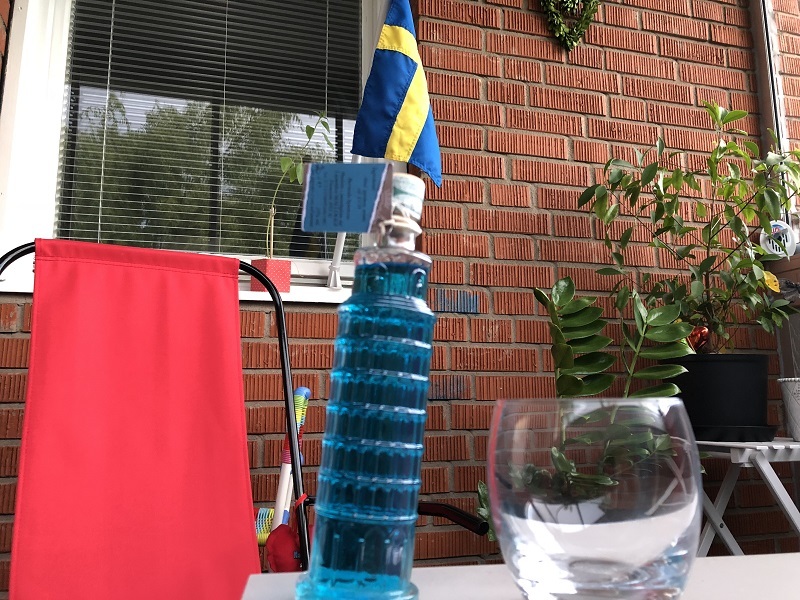 Inspired by Blue Hawaii drink in Minneapolis, USA or inspired by Ice Bear drink anywhere in Sweden, everyone can actually do a tasty vodka drink. If you do not succeed with your drink, maybe you need some creative inspiration source. Let us try with Italy. What can be that something little that inspires us? A hot day and afternoon in Florence? Nice and relaxing night? We can always take a beer or a glass of wine. But we also can go for something stronger. A vodka drink from Pisa. Not so far a way from the Mediterranean sea, this city gave us a taste of it. What do you prefer to drink a Saturday evening? Vodka Azzurra, a great mix of 25% vodka, sugar and taste of a mix of licorice and syrup. We bought a little bottle of mixed drink in Pisa, in Italy. It is called Vodka Azzurra, a great mix of 25% vodka, sugar and taste of a mix of licorice and syrup. Maybe the licorice part is not the best one but the tasty syrup feeling can make it great and easy to drink. If you prefer to eat some strawberries while taking a drink then you can do it. The combination is doable and could be experienced as a tasty one. If you are cold or feel tired and exhausted, then just a little glass of this drink can help you feel better. We can recommend it for a Saturday evening but also for any other occasion.